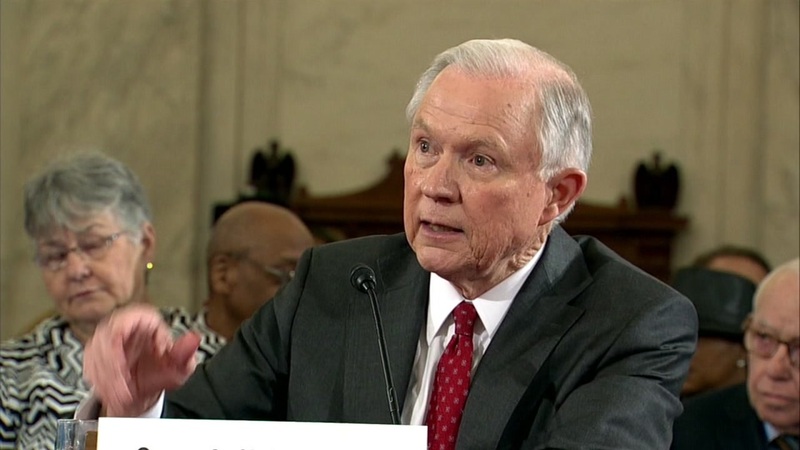 Attorney General Jeff Sessions says he will recuse himself from a federal investigation into Russian interference in the 2016 White House election. Sessions faced mounting pressure from both Democrats and Republicans to step aside after revelations that he had twice talked with Moscow's U.S. envoy during the presidential campaign. Sessions' conversations with the ambassador seem to contradict his sworn statements to Congress during his confirmation hearings. The Justice Department said there was nothing improper about the meetings. Sessions insisted he never met with Russian officials to discuss the campaign. Sessions said this week he would recuse himself when appropriate. When attorneys general have recused themselves in the past, investigations were handled by lower-ranking but still senior political-appointees within the Justice Department.